"Nothing is Impossible for Your Narrowboat"
NB Marine Services offer a FULL range of services for your narrowboat including all aspects of servicing and maintenance, and specialist narrowboat painting from our purpose built Paintshed in Anderton. 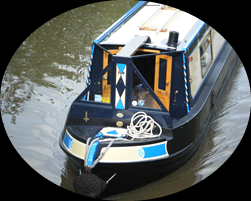 We have a first class reputation for building, maintaining, and repairing narrowboats. With several years of experience we can confidently meet your requirements or aspirations for your narrowboat, however ambitious. Through our sister company - The Paintshed we provide a full programme of narrowboat painting. The Paintshed, in Anderton, situated within minutes of the famous Anderton Boat Lift, is a purpose built, state of the art facility for painting your narrowboat.